A new Leamington pizzeria, is taking a fresh approach to pizza delivery by keeping sustainability, quality and great British produce at its core. Birtelli’s is an independent pizza delivery start up on Clarendon Avenue, whose founders, brothers Jim and Jag Biryah, hope to roll out the model across the region. 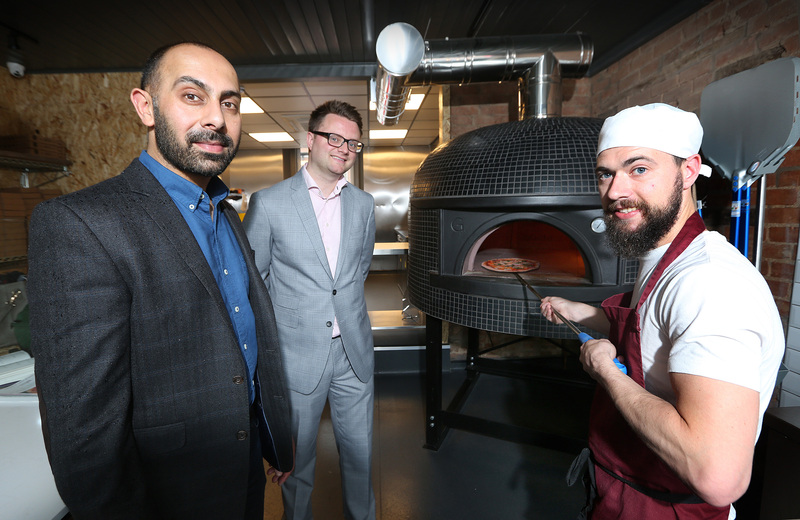 The launch follows the brothers’ identification of a gap in the pizza delivery market for high-quality, artisan food that uses locally-sourced and British food wherever possible and runs a fleet of environmentally-friendly delivery scooters and cars. The menu is overseen by executive chef Paul Foster, who has previously worked as head chef at Mallory Court and sous chef at Nottingham’s Michelin-starred Sat Bains. Jim Biryah said: “We really wanted to redefine the meaning of a pizza delivery service, moving away from how larger chains work and really focus on making pizza as healthy, natural and honest as possible. “With Paul overseeing our menus and working with us to find superior suppliers, we can make sure we deliver restaurant quality service and food to our customers. Jonathan Blood, a surveyor at ehB Commercial, who found the property for the brothers, said: “Sustainability and British produce are at the heart of Birtelli’s and is really what makes this a different approach to what has been seen before. They believe in customers knowing where their food comes from and they use local and British sources, such as butcher Aubrey Allen and the Purity Brewing Company for beer and cider. The 505 sq ft pizzeria opens between 4:30pm – 11pm daily, serving up stone baked pizzas, salads, charcuteries, mezzes and sides. “We’re thrilled to see Birtelli’s thriving and receiving such positive feedback so soon after opening. Jim and Jag have transformed the premises over the last few months into an establishment that reflects their drive and passion. We wish them all the best for the future,” said Mr Blood.